Hey, it is very facinating to see how someone works into this sort of thing and goes to work. RE is interesting! Hope you ever get to the old Rocketbook 1100. I'm a newbie to micro-controller's and what-not. Can you tell me if this converter would work? I want to know before I spend any money. I haven't received my kindle yet, but I'm interested in checking out the software. One more question. In your other post, you showed how to change the password back to fiona for the kindle. Does that have any negative effects on buying from the kindle store? As for changing the root password, I don't think it has any effect on running the Amazon software, as it's started by the init scripts and does not use root shell as it is. Thanks for the help. So amazon probably just changes the password for security reasons. That actually shows some forethought on their part. Too many products ship with default passwords today. The device would have been just waiting to be remotely hacked. If I revert the password, I'll probably pick my own out. Please share your knowledge by posting this pinouts information on AllPinouts archive (http://www.allpinouts.org). AllPinouts is a Web-based free content project (like Wikipedia) that collects information about hardware interfaces of modern and obsolete hardware, including pinouts of ports, expansion slots, and other connectors of computers and different digital devices (i.e. Cellular Phones, GPS, PDA, Game Consoles, etc.). All text is available under the GNU Free Documentation License (GFDL) and may be distributed or linked accordingly. AllPinouts archive already contains hundreds of pages organized into three main categories (Connectors, Cables, Adapters) and several subcategories. 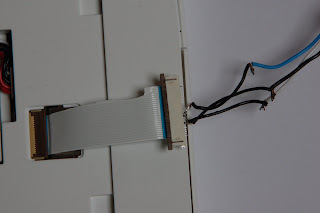 For anyone else trying this at home, the brown part of the connector flips up, then you insert the ribbon cable and flip it back down to hold the cable in place. 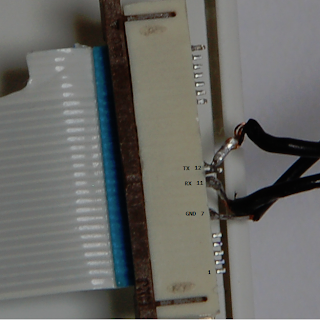 Do you have any idea which JTAG interface pinout this box uses ? Did you try any interface such as Byteblaster with this? Cool. Thanks for documenting your work for the rest of us to learn from. Any suggestions to build a remote page-turner for the Kindle DX, to use with sheet music? It's interesting that Kindle has a console, but is it possible to get the console to display on the Kindle itself, rather than connecting to it via terminal? 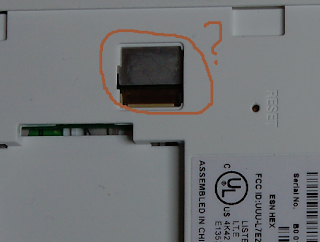 the new kindle has access to the connector?